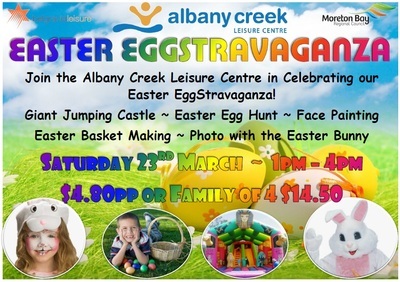 Eggs-perience an eggs-ellent eggs-cavation at the Albany Creek Leisure Centre this Easter. The Easter Eggstravaganza will take place on Saturday 23 March from 1.00pm until 3.00pm. For the normal cost of entry ($4.80 per person, $10.20 per person for swimming and water slide entry, or $14.50 for a family of four), visitors can enjoy a range of Easter activities in addition to the usual facilities available at the centre. 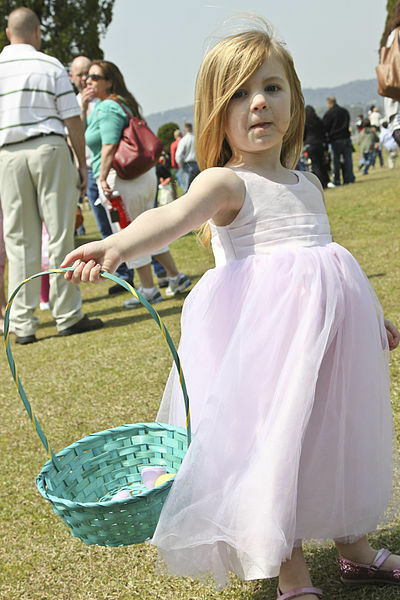 Children can enjoy playing on the giant jumping castle, Easter crafts like bunny ear and basket making, and face painting. The Easter Bunny will be available for photos and at 3.00pm, the Easter egg hunt begins! Bookings are not required for this event and while there are no age limits, organisers say that the event will best suit children aged up to ten. Other onsite amenities at the centre include a water park with giant twisting slide and mushroom waterfalls and the Terrace Cafe, offering healthy options and $10 meal and drink specials. The Albany Creek Leisure Centre is located on the corner of Northern Road and Explorer Drive in Albany Creek. Call (07) 3264 9900 for more information.